When seasons change, it feels like its time to change your living room decor. Changing accessories, using color, height and texture are great ways to change the look of your living room. The sofa is one item that is rarely changed. It's a large, often expensive piece that has to see us through different family changes and decorating trends. Even so, getting a new look is not as difficult as you might think. 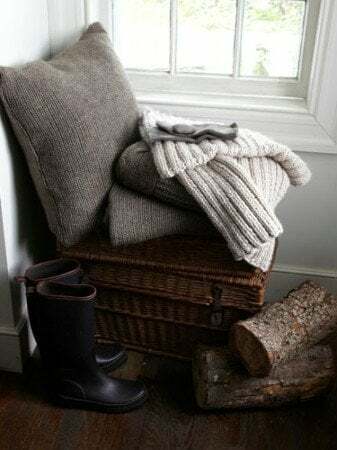 This post is about getting a brand new look using a few simple accessories like sofa slipcovers, sofa throws, cushions and more for a new fall look. 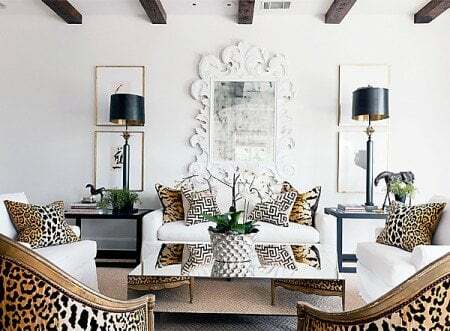 If you prefer an understated look; mix in accents like cushions, throws or vases in warm neutral colors. For a playful statement add brighter colors into the mix. 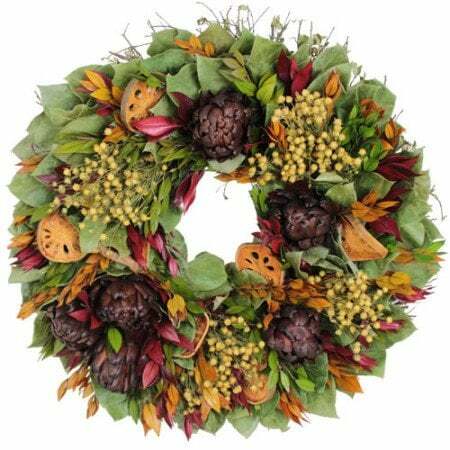 ​This wreath has just the mix you are looking for. Choose one color or a combination of colors that go with your living room and your sofa, swapping out your cool beach blues and turquoises for the richer autumn hues. The harvest color palette gives you colors like orange, green, gray, brown, yellow, red and deep purple to play with. They work well with neutral hues for a fresh seasonal look. Here are 5 ways to decorate your sofa to change your living room to the warm fall harvest look. 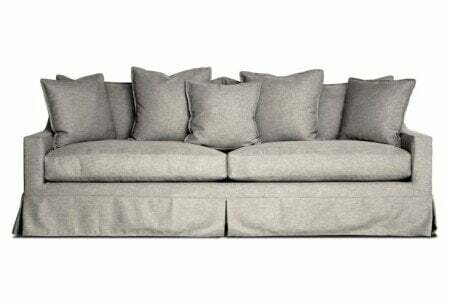 Sofas are a very important part of a living room that a household simply can't do without. 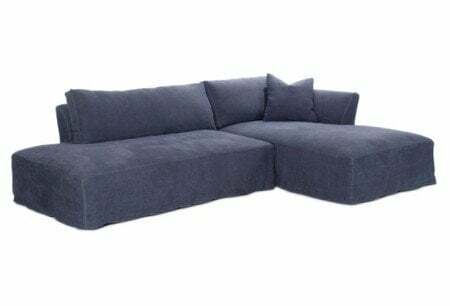 But except for being a necessity, sofas are a great way to decorate your home and improve the whole interior of a room. The good news is that a sofa itself can be decorated in different ways and made much more attractive. Whether you are tired of seeing one and the same sofa every day or you simply want to hide an imperfection on the piece of furniture, you can easily do this by decorating it. To make the best of your sofa, you can apply a few different tips and thus give the impression of an entirely new sofa at home. 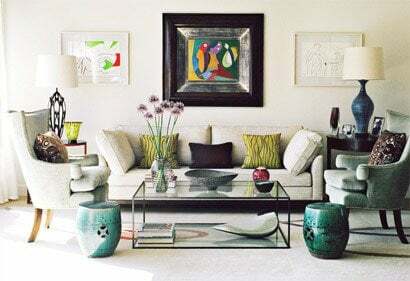 Here are some great suggestions on five different looks that you can give your sofa with ease and thus create the illusion that you have a new sofa any time you want. Changing the look of your sofa might sound like a difficult and costly thing to do, but it is actually a lot easier than you can imagine. Placing a slip cover on your sofa is one of the easiest and also most effective ways to give your furniture a whole new look without any effort. There are different types of slip covers that you can choose from. They vary in style, color and materials they are made of, making it easy for you to find the one you like most. To improve your sofa with a slip cover, make sure you know the right size and decide on its style. 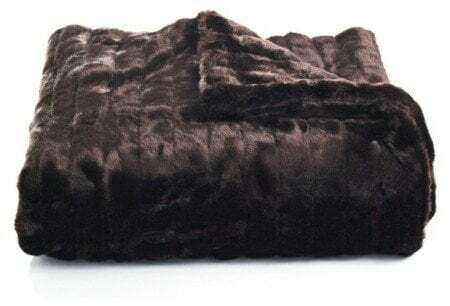 Slip covers can be made of different materials, such as cotton, suede, leather, textile, etc. Choose the right slip cover depending on the overall look of your living room. Make sure the type of slip cover corresponds to the interior of the room. With this simple idea, you can have a new sofa in minutes. Cushions are another great and very easy way to give a new look to your sofa. Here you have a huge choice as well. There are several types of cushions in many different colors and styles that can easily fit your living room interior. Decide on the statement you would like to make and this will help you to find the cushions that fit your place best. For example, if you want to give your sofa a more playful look, then try and experiment with colors. If you want it to look more clean and elegant, then place cushions in one color but different shapes. Placing contrasting cushions in dark and light color will give your sofa a more modern touch. Placing a throw on your sofa is another simple way to improve its look and make it seem newer. Throws are a nice accessory that can give a sofa different looks. 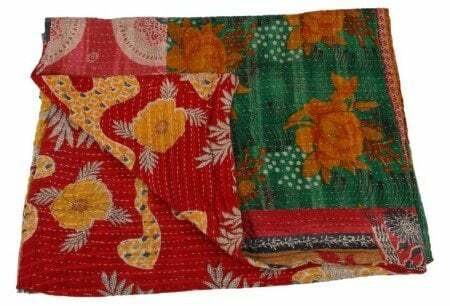 For example, for a bohemian touch, place a throw with folk patterns. Choose a black one for your white or beige sofa if you want it to look more sophisticated and clear, or one in bright baby colors for a gentle and positive vibe. An interesting way to improve your sofa is to use personalize cushions with a photo or a picture of your choice. There are studios that offer this kind of service and make custom pillows. Another method to change the look of your sofa is to paint-spray it. 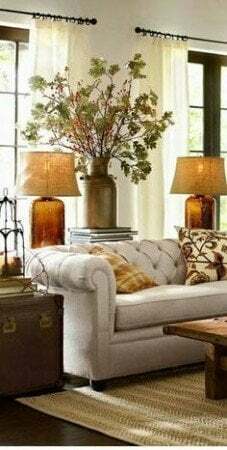 This is a good option for shabby sofas that have lost their original color or in case an owner is tired of the old color. This is a permanent change but the good news is that you can still use any of the above solutions to give a repainted sofa another look. To spray your sofa, cleaning companies, like Quality Cleaning N3, advise you to clean it first, removing stains from it. Then repair any damages and place it in an open area. Choose the color and spray the whole sofa. These 5 looks are a great start to a new sofa look. You can always add or change your photo gallery, wall mural or wall stencil to the wall directly behind your sofa with new colors for a fresh start or style your ottoman or coffee table with fall colors. Thanks for the ideas - must get my wreaths out and in order. I love fall colors even though I don't like winter! Yea, I know.